Last week, on a dark and grey Tuesday evening, still reeling from the US Election result, I managed to find a little sanctuary to help me forget about the woes of the world. 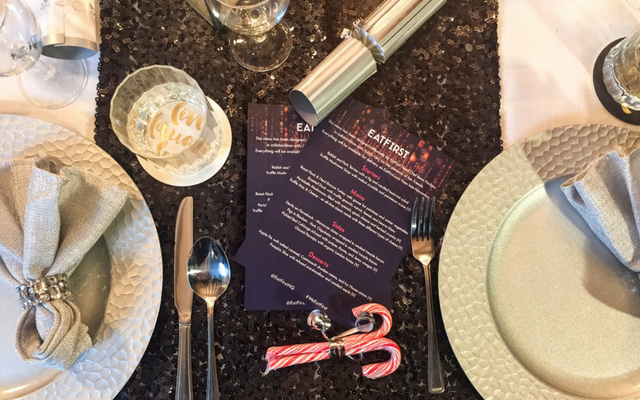 My long-time blogger friend Ashanti, of the fabulous Adorn Girl blog, chose the perfect night to host a festive supperclub in partnership with EatFirst – London’s first online-only gourmet restaurant. There literally is nothing better for lifting your spirits than a feast of Christmas comfort food, a beautiful setting and great company. 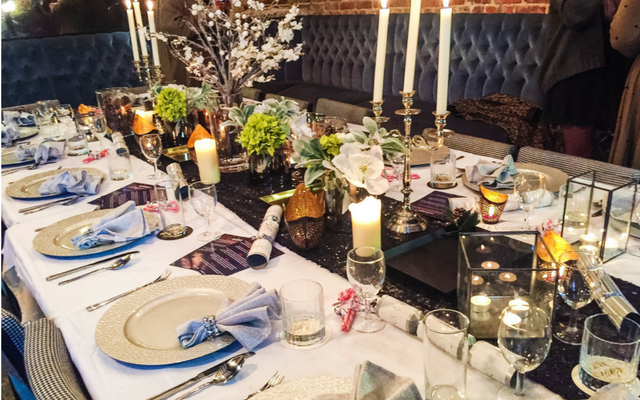 The supperclub took place at the gorgeous Dead Doll’s House; Ashanti transformed the top floor into an exquisite private dining room with the most decadent, Instagrammable table as a centrepiece. Utterly dreamy. I was really glad to catch up with Head Chef, Benn Hodges, over a glass of his Aussie Eggnog. He has an incredible career, being named ‘Chef of the Year’ in his home country Australia, before hopping across the ocean to work at Michelin-starred London institution The Ivy and Roka, one of my favourite restaurants. It’s safe to say his background set the bar for the evening very high! Benn was appointed Head Chef of EatFirst back in January 2016. The concept is super simple, the restaurant is online-only, therefore unlike other food delivery services, each dish is designed to be transported and delivered. This really piqued my interest, I’ve ordered via delivery serviced before only to be let down with lukewarm food which hasn’t survived the bike delivery intact. Each dish on the EatFirst menu goes through rigorous development and is freshly hand-prepared by London’s best chefs. The meals are cooked and arrive chilled, with a three-step meal card for heating, plating and eating. Simple! 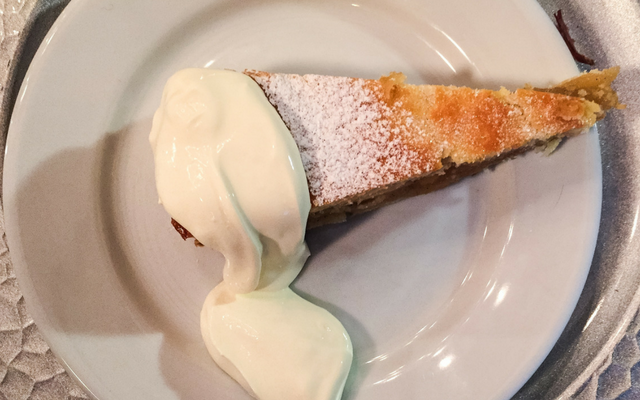 Our supperclub was to celebrate the new festive menu, which launches on Friday 18th November. The menu is full of Christmas classics as well as indulgent Thanksgiving-inspired desserts. 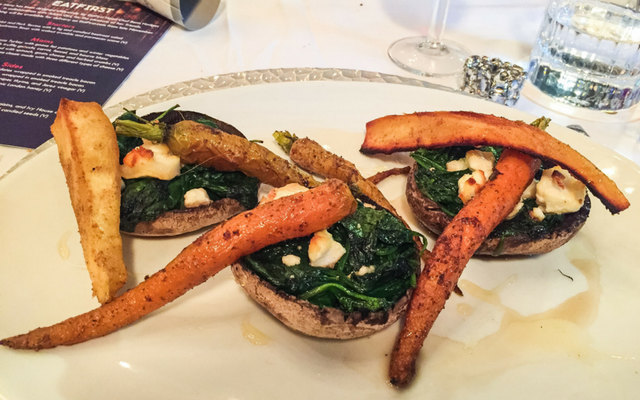 I was super pleased to find tons of vegetarian options on the menu, from the truffle mushroom soup with walnut crumble and parmesan scone to the Portobello mushrooms filled with spinach, goat’s cheese and herbed crumbs. 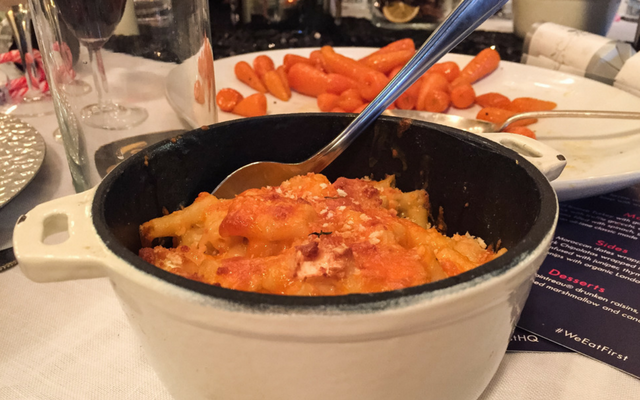 My absolute favourite was the truffle mac & cheese, I actually gasped out loud when I had my first bite. We also feasted on piles of sides – the roast potatoes were crisp to perfection and the glazed parnsips drizzled with organic honey were divine. The festive menu is out this Friday. Check it out by either visiting the EatFirst website or download the app, which is super easy to use. EatFirst currently serves zones 1,2 and 3 with 45 minute delivery slots from 11am-2pm for brunch or lunch and 5.30-10pm for dinner. Yes, I said brunch. That amazing development team have worked their magic so you can order perfect poached which are delivered to your door. With or without a delicious Bloody Mary mix. They are actual angels on Earth.